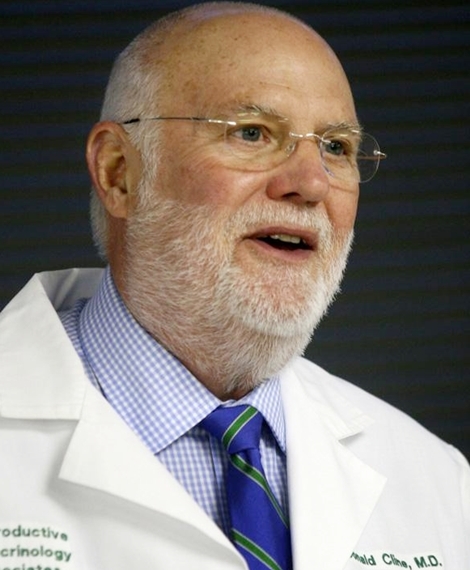 77-year-old Dr. Donald Cline, is accused of fathering at least eight children with different women who came to his office in the 1970s and '80s for fertility treatment. It's believed that he could have more than 20 children, Fox 59 reports. Cline, who is now retired, appeared in court on Thursday to plead guilty to lying to investigators. He wasn't charged with impregnating the women with his sperm because there is no state law against it. Suspicion into the former practitioner began in 2015 when one of the children found eight DNA matches after taking a test through the genetics company, 23AndMe, which referred the person to Cline's Indianapolis clinic. Because "live" sperm was being used at that time - instead of frozen samples - questions were raised about who would have been around each time to father that many kids. When the disgraced doctor was first approached by investigators, he denied using his own samples. DNA evidence, however, proved otherwise and Cline admitted to using his sperm whenever the donor was unavailable. Prosecutors said he used his sample up to 50 times. Cline pleaded guilty to two counts of obstruction of justice and was sentenced to 365 days in jail, all of which was suspended, meaning he won't serve time behind bars. Cline not only avoided jail time, but won't be on probation either.